I love a good tan and I've been known to dabble with a fair few products in my time. Gradual tanning moisturisers, mousses, instant sprays and most recently a professional spray tan done! I love the confidence you gain with a tan, it makes you look healthier and of course I love the fact it makes me look slightly smaller! Now although I am always chopping and changing what tanning products I use - from LW Tan to St. Moritz I have always gone for the sort of 'medium' shades. Where I have a fairly pale skin tone I've always been nervous about going the whole hog and getting the dark dark shades but after having a dark spray tan recently it's made me a little more confident with embracing my inner TOWIE. 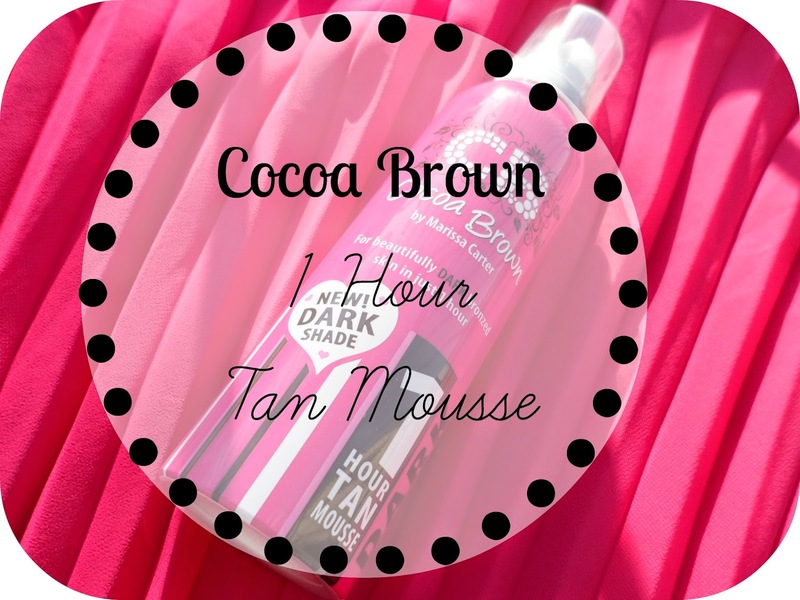 I had heard alot of Cocoa Brown - lots of bloggers have raved about it, twitter is full of recommendations and I recently noticed it in my local Superdrug, so I was super excited to try it out! Mousse's are my favourite type of tan to apply because well... I find them the easiest! Pump onto a mitt and away you go! "Easy to apply this first-of-a-kind formulation combines hi tech accelerating agents, which are activated upon contact with skin and speed up the tan’s absorption and development, to deliver a rich, cocoa brown tan." The first thing I noticed about this stuff was the scent. There was not a hint of the classic 'biscuit' smell at all! There are lots of brands that say they don't have the smell but there is always a slight hint of it but with this - not at all! Also, the colour of the mousse was so much lighter than I was expecting! Seeing as this is a dark, fast developing tan I honestly thought the product would be alot lot darker than it is! So tanned up I pottered around my flat for the next hour or so - thankfully this stuff dried more or less instantly and isn't sticky in the slightest so there was no trouble with needing to get on with things! 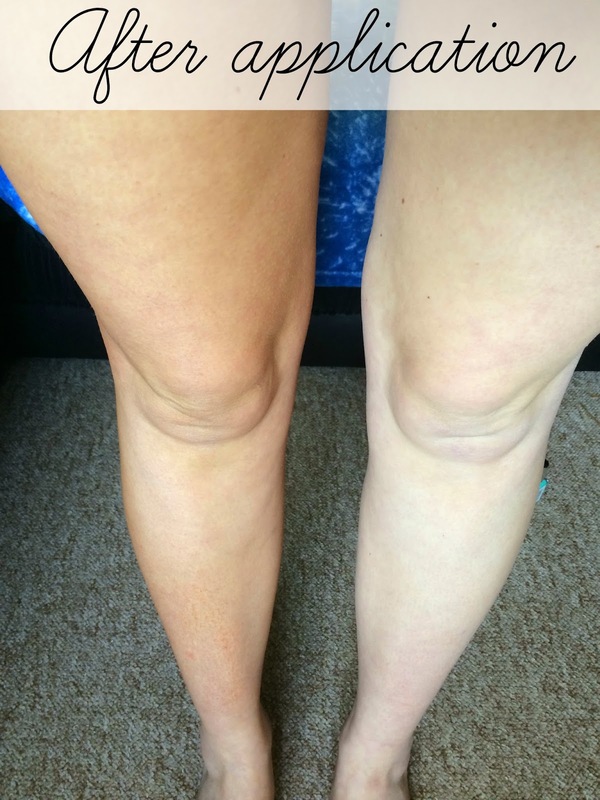 A great tanning product with great results! I love the gorgeous golden shade this has left after just 1 hour! A fab product perfect for when you're in a rush and want a great tan quickly that's going to last for longer than 1 night! I can't quite believe that it's only £7.99 - what a bargain! Have you girls tried this stuff out? I'm definitely more confident with going for darker shades now! I'm obsessed with tanning products at the moment and this one looks amazing. I'll be adding it to my list of fake tans to buy! Wow - that looks really natural on you! I am pretty pale, but have a couple new products (and a mitt) coming in the mail to try out - the Vita Liberata Rapid tan, and the tanner from Arbonne. Hoping it gets rid of the pastiness as the weather is warming up here!